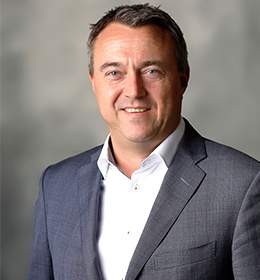 Onno van de Stolpe founded our company in 1999 and has served as our Chief Executive Officer and a member of our board of directors from 1999 to the present. From 1998 to 1999, he was the Managing Director of Genomics at IntroGene BV (later Crucell NV, which was acquired by Johnson & Johnson Services, Inc. in 2011). Prior to joining IntroGene in 1998, he was Managing Director of Molecular Probes Europe BV. He established the European headquarters after joining Molecular Probes, Inc. in the United States. Previously, he worked for The Netherlands Foreign Investment Agency in California, where he was responsible for recruiting biotechnology and medical device companies to locate in the Netherlands. Mr. Van de Stolpe started his career as Manager of Business Development at MOGEN International NV in Leiden. He received an MSc degree from Wageningen University. 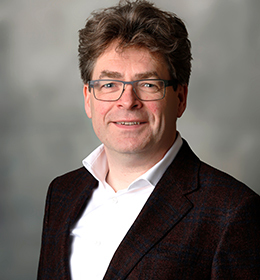 Mr. Van de Stolpe has previously served as a member of the board of directors of DCPrime BV and as a member of the supervisory board of the Stichting Institute for Human Organ and Disease Model Technologies. Bart Filius, MBA has served as our Chief Financial Officer since December 2014 and as our Chief Operating Officer since September 2017. Prior to that, Mr. Filius worked over 13 years at Sanofi SA, where he was the Chief Financial Officer of Sanofi Europe during the last three years. Earlier at Sanofi, he was the Country Manager and Chief Financial Officer of Sanofi in the Netherlands. Before that, he was Vice President for Mergers & Acquisitions, during which time he led and completed the divestiture of various franchises. Prior to joining Sanofi, he was a strategy consultant at Arthur D. Little. Mr. Filius has an MBA degree from INSEAD and a bachelor’s degree in business from Nyenrode Business University. 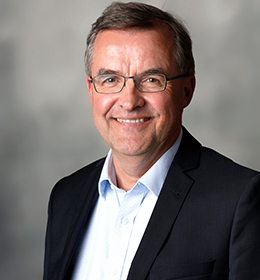 Piet Wigerinck, Ph.D. joined us in April 2008 as SVP Development and was appointed Chief Scientific Officer in 2012. Under his leadership, we have developed a large pipeline of novel mechanism of action drug candidates. He has supervised multiple successful proof-of-concept patient studies, including filgotinib, GLPG1690, and MOR106. Prior to his tenure at Galapagos, Dr. Wigerinck was Vice President, Drug Discovery, Early Development and CM&C at Tibotec-Virco Comm VA (a subsidiary of Johnson & Johnson Services, Inc.). Under his leadership at Tibotec, TMC114 (Prezista™) and TMC435 (Olysio™) were selected and moved forward into clinical trials. Dr. Wigerinck played a key role in Tibotec’s expansion into novel diseases such as Hepatitis C and advanced several compounds into Phase 1 and Phase 2 clinical trials. 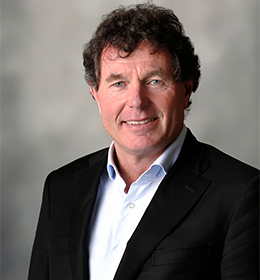 Dr. Wigerinck has over 30 years of R&D experience in the pharmaceutical industry and biotechnology. He holds a Ph.D. from the KU Leuven and is inventor on more than 25 patent applications. In May 2018, Dr. Wigerinck was elected as an independent board member of Ipsen SA in France. Andre Hoekema, Ph.D. is responsible for M&A, licensing and Intellectual Property at Galapagos as our Chief Business Officer. He joined Galapagos in March 2005 from Invitrogen Corporation, where he was Managing Director of Corporate Development Europe. He brings 20 years of biotech experience from positions at Molecular Probes Europe BV (Managing Director), Crucell NV (Director of Business Development), DSM Life Sciences NV and Syngenta MOGEN BV (Research and Project Management) and Genentech, Inc. (R&D). Dr. Hoekema has a Ph.D. degree from Leiden University and is the inventor of over 20 series of patent applications, resulting in 15 patents issued in the United States. Dr. Hoekema currently also serves as a member of the supervisory board of Mimetas BV and has previously served as a member of the supervisory board of VitalNext BV. Walid Abi-Saab, MD started his job as Chief Medical Officer at Galapagos in March 2017. Dr. Abi-Saab drives Galapagos’ overall medical strategy and is responsible for late stage clinical development and operations, medical and regulatory affairs, and safety. Before, Dr. Abi-Saab worked at Shire AG where he held various clinical development leadership roles, most recently as Group Vice President, Global Clinical Development – Therapeutic Area Head, Gastro-intestinal, Endocrinology and Metabolism. Prior to that, he led clinical development activities at Novartis Pharma AG, Abbott Laboratories Inc. and Pfizer Inc., addressing a wide range of therapeutic areas and leading teams throughout the clinical development process. Under his leadership, more than 30 molecules have advanced through clinical development leading to several approvals in the United States, EU and Canada. 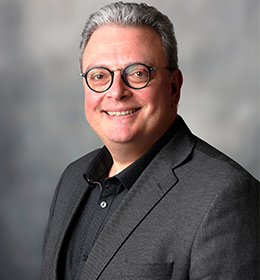 Prior to his pharma roles, Dr. Abi-Saab was Assistant Professor of Psychiatry and Neurosurgery at Yale University Medical School, where he headed their Schizophrenia Research at the Clinical Neuroscience Research Unit and the Neurosurgery Epilepsy Microdialysis Research Program. Dr. Abi-Saab holds an MD degree from Université Saint Joseph in Beirut, Lebanon. The tasks of the executive committee include the following matters: the research, identification and development of strategic possibilities and proposals which may contribute to our development in general, management of the group, the supervision of the actual performance of the business compared to its strategic goals, plans and budgets, and the support of the CEO with the day-to-day management of Galapagos. The executive committee meets regularly, and in principle once per month. On 31 December 2018, the executive committee consisted of five people: Mr. Van de Stolpe (CEO, also executive director), Mr. Filius (CFO and COO), Dr. Wigerinck (CSO), Dr. Hoekema (CBO), and Dr. Abi-Saab (CMO), representing four different nationalities and different age categories. Furthermore, the members of our executive committee have different educational backgrounds, as can be read in each of their profiles (above). In proposing candidates for the executive committee, particular consideration is given to educational and professional background, complementary skills, knowledge and experience, as well as to diversity in age, gender and nationality. The role of the audit committee is to follow up on financial reporting and verification of financial data, safeguard the integrity of our financial reporting, verify and follow up on the internal control mechanisms, evaluate and verify the effectiveness of the risk assessment systems, follow up on the internal and external audit activities, review, monitor and evaluate the independence and performance of the external auditor and inform the board on the results of the statutory audit. The audit committee also reviews corporate social responsibility initiatives. At the end of 2018, the audit committee consisted of the following three directors: Mr. Rowe (chairman), Dr. Kerr and Dr. Cautreels . Dr. Kerr replaced Dr. Van Barlingen on the audit committee as from 20 March 2018. Mr. Rowe took over from Dr. Cautreels as audit committee chairman on 23 April 2018. Dr. Cautreels did remain in office as audit committee member. All members of the audit committee are non-executive directors, the majority of whom are independent within the meaning of article 526ter of the Belgian Companies Code. The chairman is an independent non-executive director. All members of the audit committee have extensive experience in the life sciences industry. Dr. Cautreels has relevant expertise in financial matters (including general accounting and financial reporting) and in matters of audit, internal control and risk control. The other members have extensive experience in these matters as well. In 2018, the audit committee held seven meetings, in which it dealt with matters pertaining to, among other things, audit review, risk management, monitoring financial reporting, the monitoring of Sarbanes-Oxley compliant internal and external audit systems and corporate social responsibility initiatives. The audit committee acts as a collegial body. The overall attendance at the audit committee meetings in 2018 was 100%. Some of the meetings were attended by the statutory auditor. The nomination and remuneration committee’s role is twofold: providing recommendations to the board of directors regarding the remuneration policy of Galapagos and the remuneration of directors and members of the executive committee, and selecting the appropriate candidates and making recommendations to the board of directors in relation to the appointment of directors and members of the executive committee. At the end of 2018, the nomination and remuneration committee consisted of the following three non-executive directors: Dr. Parekh (chairman), Ms. Bosley and Mr. Rowe, the majority of whom are independent directors. Mr. Rowe replaced Dr. Cautreels on the nomination and remuneration committee as from 20 March 2018. The committee has the necessary expertise in the area of remuneration policy. The nomination and remuneration committee meets at least twice per year. In 2018, the nomination and remuneration committee held three meetings, dealing with, among other things, matters pertaining to grants of warrants and bonuses, the nomination and remuneration of directors and salary increases. The nomination and remuneration committee acts as a collegial body. The overall attendance rate at the nomination and remuneration committee meetings in 2018 was 88%. Mr. Rowe’s attendance rate was 50% whereas the other committee members’ attendance rates were all 100%. The CEO attended the meetings of this committee when the remuneration of the other members of the executive committee was discussed.